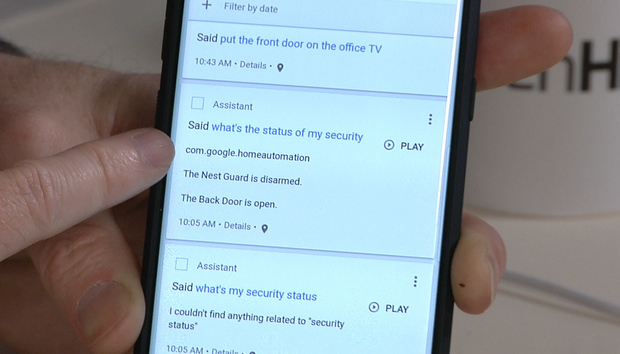 With just a few clicks it's possible to delve into the history of your Google Assistant to see all the commands you've issued, the replies it's given, and hear audio recordings of exactly what it heard. Here's how to do it. Via the Google Home app: Open Google Home and click on the hamburger icon (the three horizontal lines in the top left). 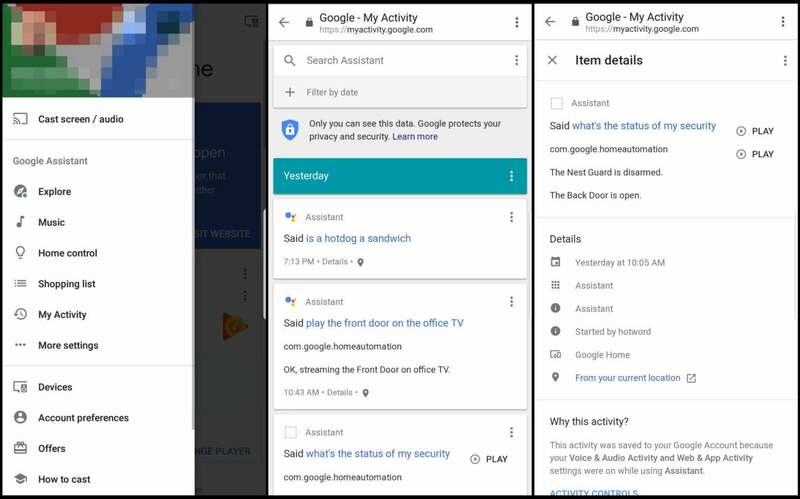 In the drop-down list, click on "My Activity" and you'll soon see a list of all the interactions you've had with Google Assistant. Via the web: Navigate to myactivity.google.com and you'll get a list of your entire Google history. Click on the plus button under the search bar and choose the filter for Google Assistant. Click the search button and you'll get just your Google Assistant activity. Whichever method you used, you'll now see a list of your Google Assistant activity. Getting to Google Assistant's history take just a few clicks. Click on "details" to get information on when the query was made and how, via the Google app on a phone or a Google Home device. If it was made via the app, you'll also get your location at the time. And if it was made via Google Home, you can listen to a recording of what the device heard. If Assistant replied with search results, an answer or carried out a task, that should be listed too. Some of this information can be useful if you're trying to figure out why Google Assistant keeps mishearing you. I was getting very frustrated with a string of misunderstandings, and checking the history revealed why: it wasn't my phone in front of me that was interpreting what I was saying, but a Google Home in the next room that was hearing a quiet, echoey command. Google allows you to delete any or all of this history, and if you'd rather none of it be stored in the first place, you can turn off collection through the "activity controls," which is linked to from the "details" page for each item.